The 105th precinct in the Queens borough of New York City issued the warning Tuesday, according to a New York Post report, which cites an internal memo stating that the gang plans to “hit” officers’ homes in the Long Island area. “Out of an abundance of caution, an officer safety alert was sent of an unverified threat by MS13 targeting law enforcement officers,” NYPD spokeswoman Sgt. Jessica McRorie said. MS-13 is a violent gang that President Donald Trump has described as “worse than al-Qaeda” and is active in 42 states and Washington, D.C. It’s growing activity is linked to the high numbers of Central American immigrants that came into the U.S. both legally and illegally during roughly the past decade. “MS-13 is a unique problem because of the unusually brutal crimes its members have committed, its success in using intimidation to victimize and control people in its territory, and its focus on recruiting young members, often in schools,” the Center for Immigration Studies explains. In a 2018 study, the center found “506 MS-13 members [who had been] arrested or charged with crimes that were reported in 22 states,” 80 of which were reported in New York. 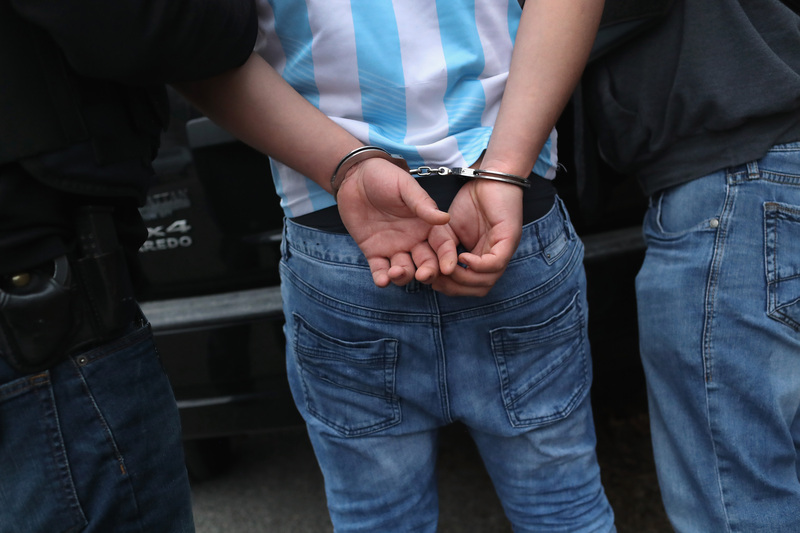 Earlier this month, a 20-year-old New York MS-13 member named Abel Mossowas was arrested and taken into custody for shooting and killing a man on the subway in what was likely a gang-related altercation. Massowas has previously been arrested and was part of a “criminal group gang case,” according to ABC7.